One of the most important days in a young lady's life is her Quinceañera or Sweet 16, which marks her transition from a child to a young lady. For the girl who dreams of being a princess, a horse drawn carriage will make that dream a reality. 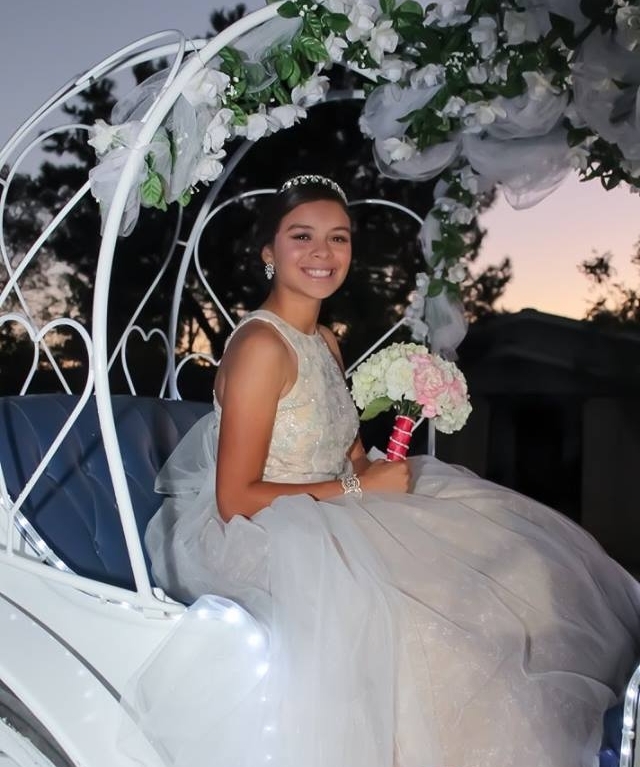 Her Quince will be the talk of the town after she arrives in style on a custom decorated carriage pulled by a magnificent white horse. The birthday girl isn't the only one that gets to have fun! After she makes her grand entrance, guests can hop on and take a ride as well. This creates wonderful memories for everyone involved. 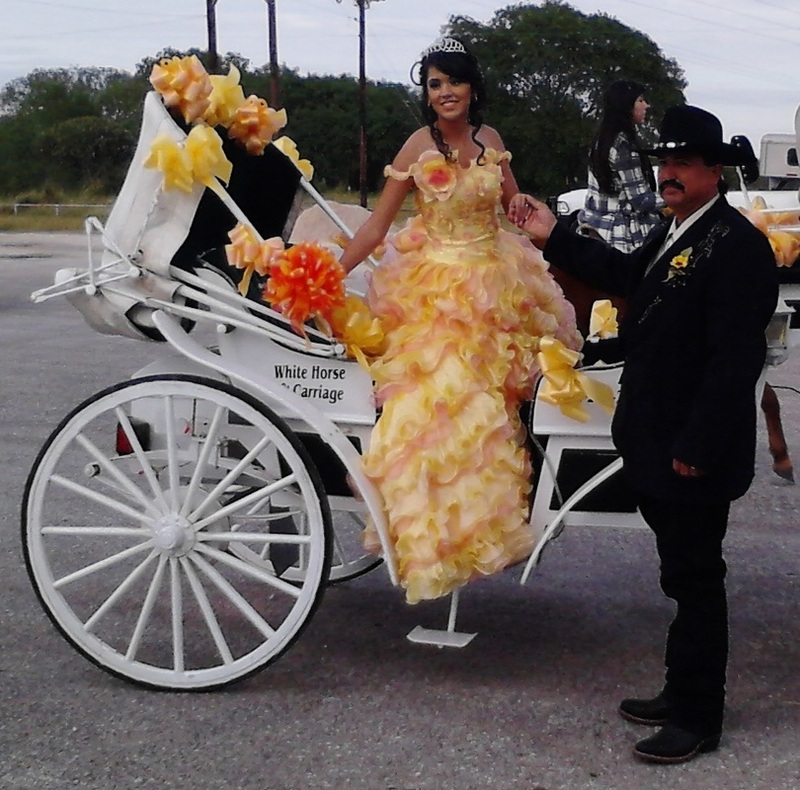 Quinceañera in Del Rio, Texas. Photo courtesy laphotoproductions.com. Contact Us today to start planning your daughter's special day and turn her dreams into cherished memories. You can also visit us on Facebook to see more pictures of our past events.